It is often preferable to manage medical conditions with dietary adjustments rather than medications. For this reason, we are proud to carry a wide selection of therapeutic diets for cats and dogs. 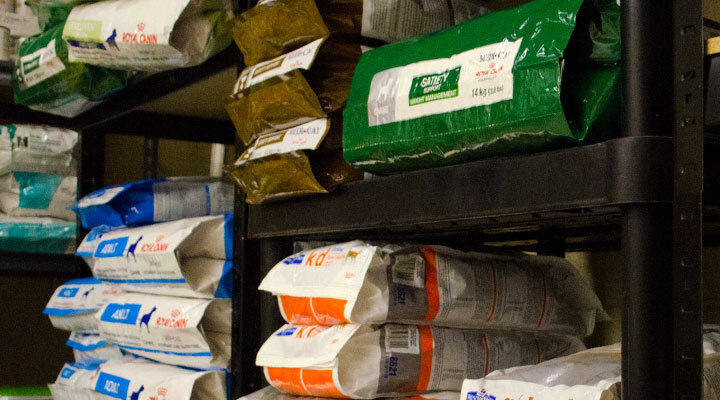 Whether your pet suffers from itchy skin, a sensitive tummy, anxiety, diabetes, urinary tract disease, or is overweight, you are sure to find a helpful diet on our shelves. We routinely stock most prescription diets from both Medi-Cal and Hill’s, and our rapid special-order service can have any other prescription diet delivered within 24 to 48 hours.